It is time to enjoy pure meaty sausages with some true British seasoning. We follow the North Carolina to traditional English recipes and the finest seasonings directly imported from England. The sausages are meatier in nature with the finest cuts of nurturing pork. Really tasty, just like British style bangers, but in smaller casings. 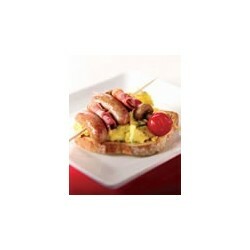 Its name is really special, the Chipolata is derived from the Italian word “cupola” which means onion. 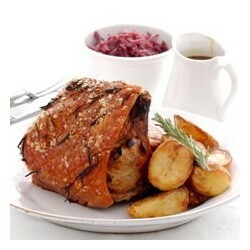 Perfect to take with Sunday Roast or breakfast, and children love to take them as after school snack. 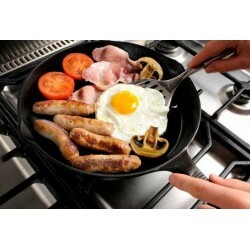 Easy to cook, and provides perfect taste with streaky bacon. Typical British sausage, prepared with finest chopped pork, herbs and black pepper. Our Cumberland Bangers can increase the flavour of your meal, specifically with barbecue. Traditionally, this type of sausages is presented in a coil form, but we preset in a link to make it convenient for you to cook up on your grill and to satisfy our dear customers. Lincolnshire is a famous sausage in the UK, and we make it in the same traditional style as the Lincolnshire people have done it without too much bread, lots of the best cuts of the pork, traditional seasoning and lots of love as well as care to supply best sausage to you. Take the joy of our original British Banger unstuffed meat in patty form. 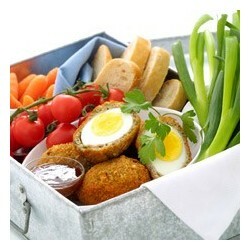 It can be used as turkey stuffing or make sausage balls or you can try your own favourite recipe like Scotch Eggs. Do not miss the taste of Pork Bangers with Sage. 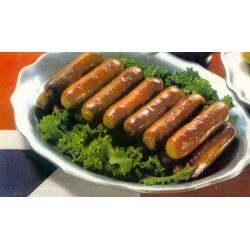 It is prepared just like traditional British Bangers in North Carolina style with the addition of “Garden Sage” flavour”. You will get enough sage in the pork banger sausage. It will be best for your brunch, because it is 5” long and 1 ½ diagonal. William says: "Our original British Banger meat not stuffed but in patty form. Use with turkey stuffing, to make sausage balls or in your favorite recipe, or to make Scotch Eggs.